Husqvarna 122HD60 is a low noised and light weight hedge trimmer for domestic use with easy to use functions such as Smart Start and adjustable rear handle. Designed for shaping bushes and hedges, the double-sided trimmers offer efficient and comfortable operation. 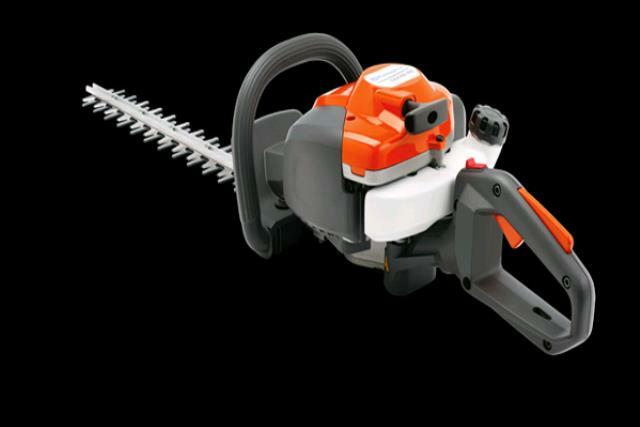 Recommended maximum twig diameter 0.8 "
* Please call us for any questions on our hedge trimmer 24 inch gas in Concord, serving all of New Hampshire, including Manchester, Canterbury, Loudon, Hillsboro, and Northwood.